definitely help when clearing up a misunderstanding. The quote(s) you send to your husband is loving, it shows them you care, and it tells them they are appreciated. In the Book of Proverbs in the bible, it mentions that a husband who is wise is kind, compassionate, honest, hard working, truthful, generous, has a gentle tongue, is a man of integrity, is willing to admit when he is wrong, and a peacemaker. All things that Jesus himself, portrayed while being on earth. Where would you be without your husband? How does he make you feel? Is he your peanut butter to your jelly? Does he put the happy in your happiness? 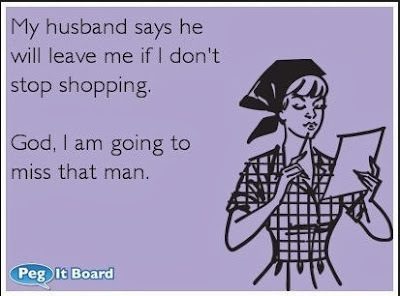 If you answer yes, then here's are a few husband quotes to send his way. You text him, he doesn't text back. He was obviously so excited that you texted him that he fainted. If I had a flower for every time you made me smile and laugh I'd have a garden to walk in forever. You really shouldn't say I LOVE YOU unless you mean it. But if you mean it, you should say it a lot. People forget. Dear Husband, I prize your love more than gold. Or all the riches that a bank account can hold. Your love is like a river, that can not be quench. I love you in such a way that I can not repay. I pray that the heavens reward us in such a way to enjoy one another each and every day. I prize your love more than gold or all the riches that a bank account can hold. Dear Husband, You are the crown and blessing of my life. You love me so much and this why I am a happy wife. Why I Love My Husband: Every breath he takes, every move he makes, every bit of his being, lives to make me happy. Love isn't always perfect. It isn't a fairytale or a storybook. And it doesn't always come easy. Love is overcoming obstacles, facing challenges, fighting to be together, holding on and never letting go. It is a short word, easy to spell, difficult to define and impossible to live without. Love is realizing that every hour, every minute, and every second was worth it, because you did it together. Home is where the heart is? NO home is where my HUSBAND is. My husband says he will leave me if I don't stop shopping. God, I am going to miss that man. 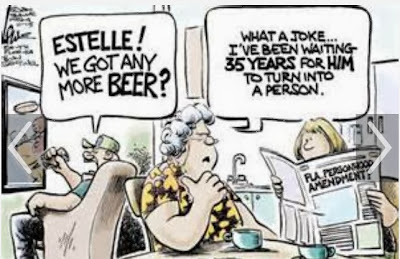 Being married is like having a best who doesn't remember anything you say. Marriage does not guarantee you will be together forever, it's only paper. It takes love, respect, trust, understanding, friendship, and faith in your relationship to make it last. 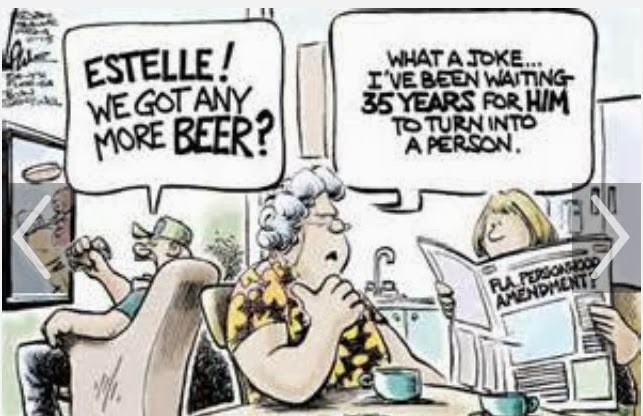 The man who says his wife can't take a joke forgets that she took him. My husband thinks I'm crazy, but I'm not the one who married me. Happy the marriage where the husband is the head and the wife the heart. Don't every stop dating your wife. Don't every stop flirting with your husband. God created the marriage relationship to be a blessing to everyone involved. 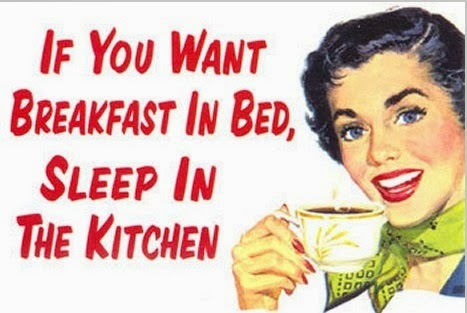 A husband should cherish his wife. This means that she is to be treated with tenderness and affection. A man shall leave his father and mother and be joined unto wife and they two shall be one flesh. He that loves his wife, love himself. For no man ever hated his own flesh, but nourisheth and cherish it. For the husband is the head of the wife, even as Christ is the head of the church. 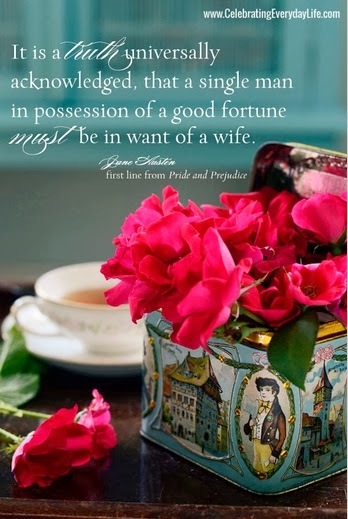 It is truly universally acknowledged, that a single man in possession of a good fortune must be in what of a wife. Her children arise up and call her blessed; her husband also and he praiseth her. He who finds a wife, finds what is good and receives favor from the Lord.